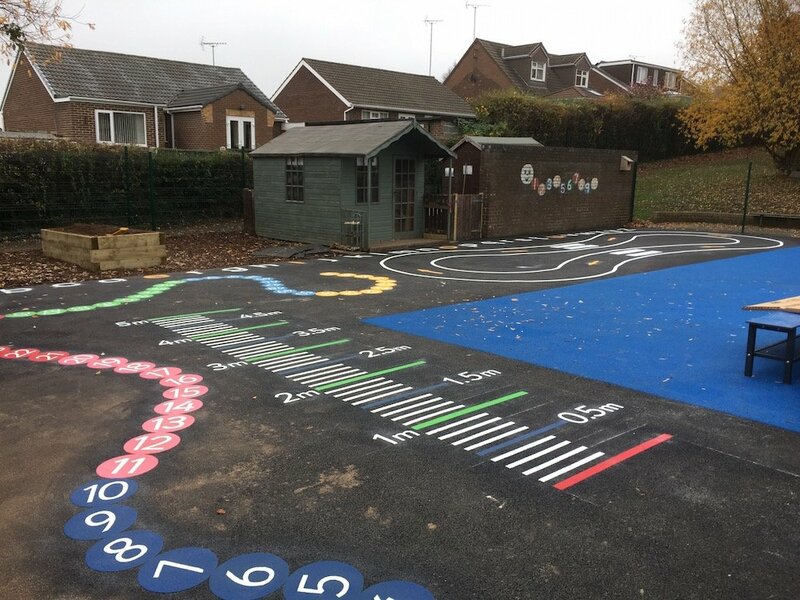 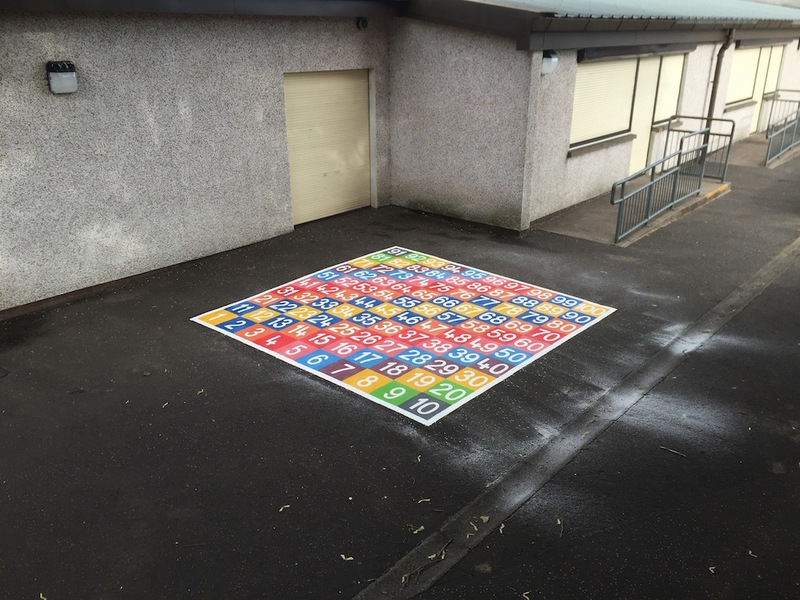 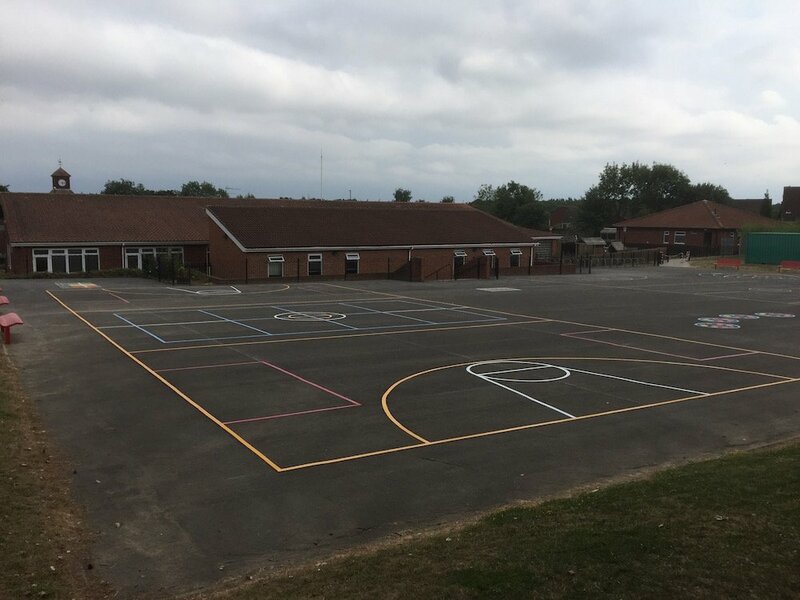 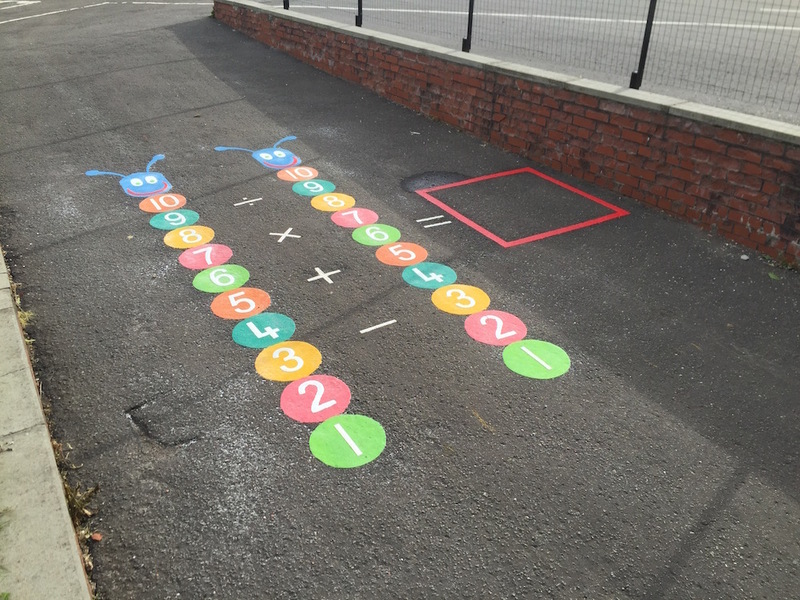 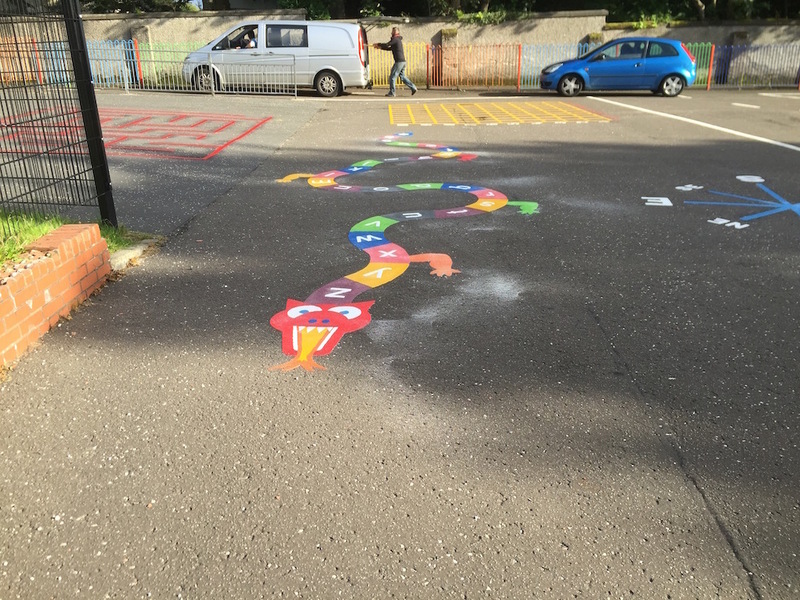 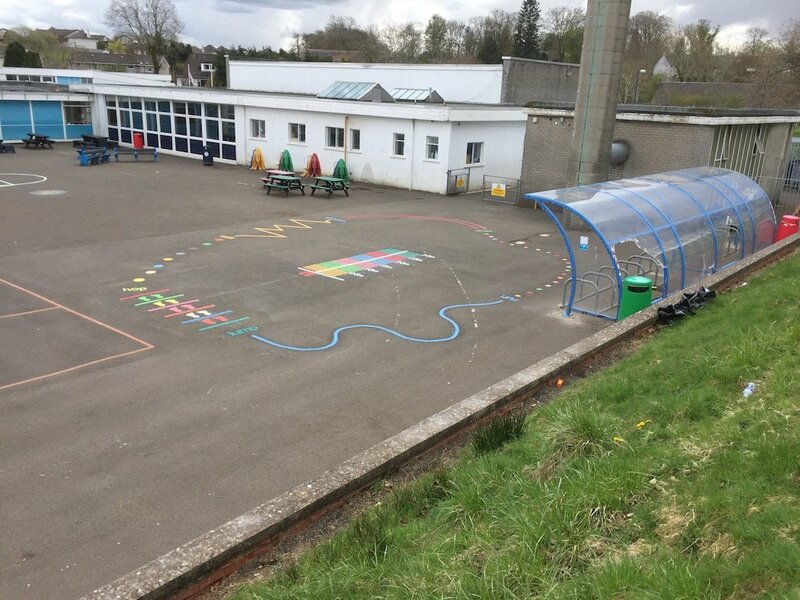 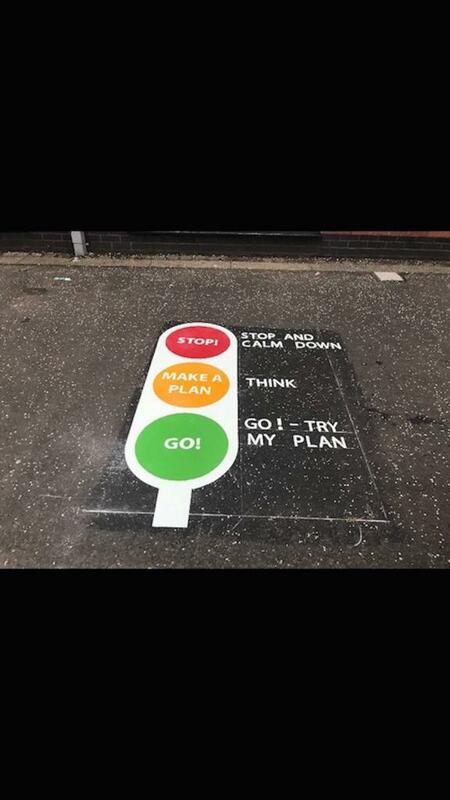 first4playgrounds recently installed a substanstial amount of markings in Clydebank in Scotland. 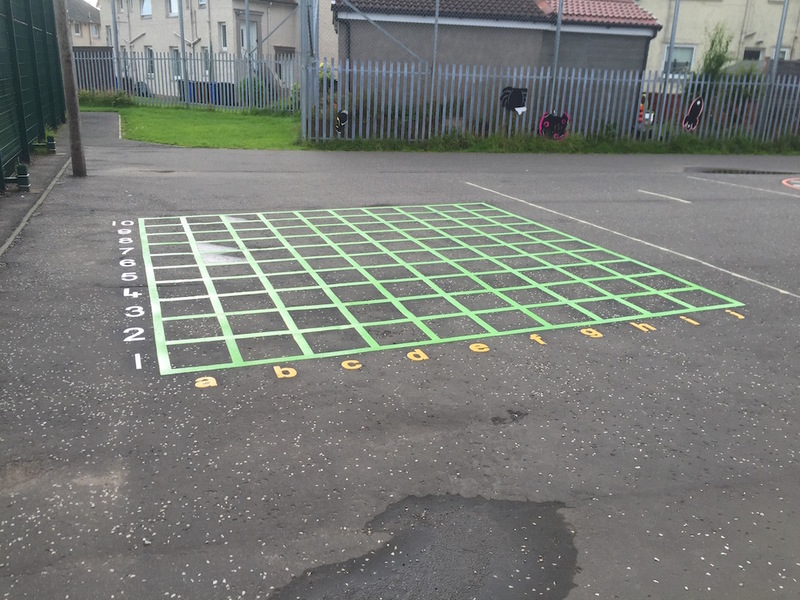 A 1-100 grid for games like snakes and ladders. 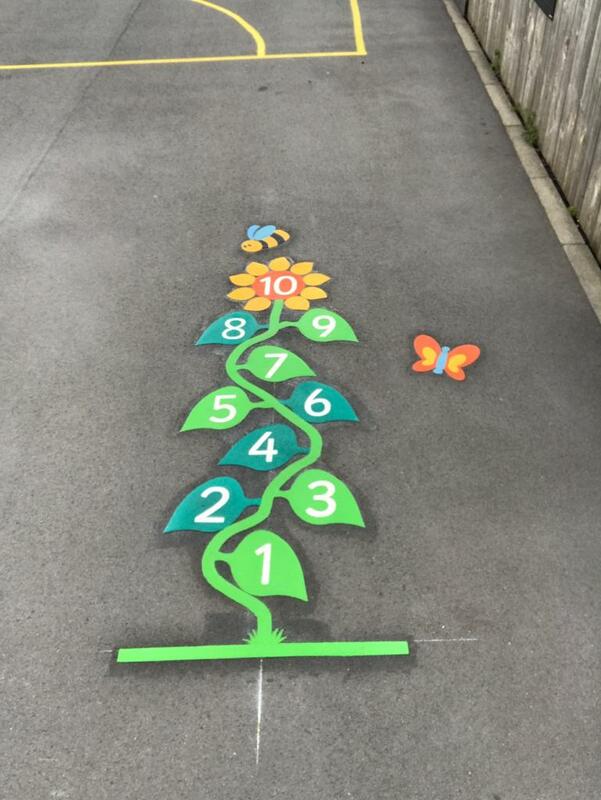 Our Counting Caterpillar game is great for mental maths. 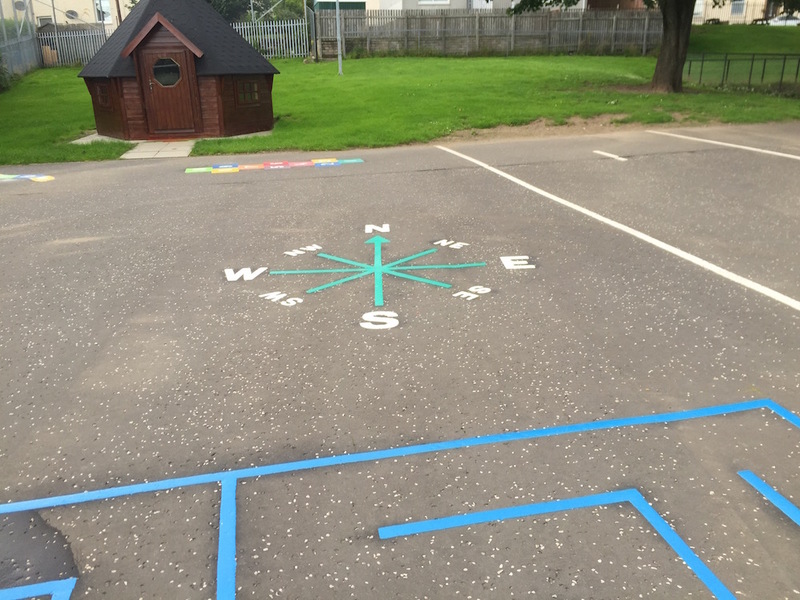 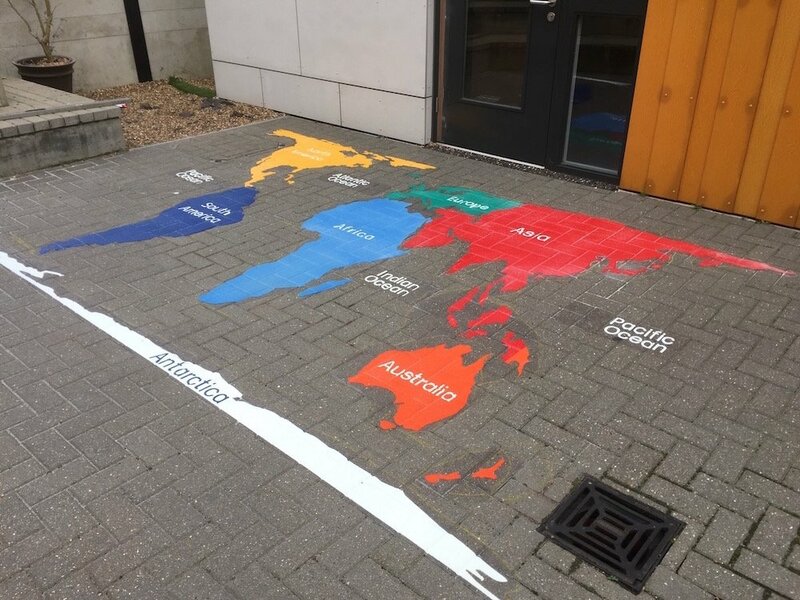 A line compass pointing directly north so the children can learn orientation. 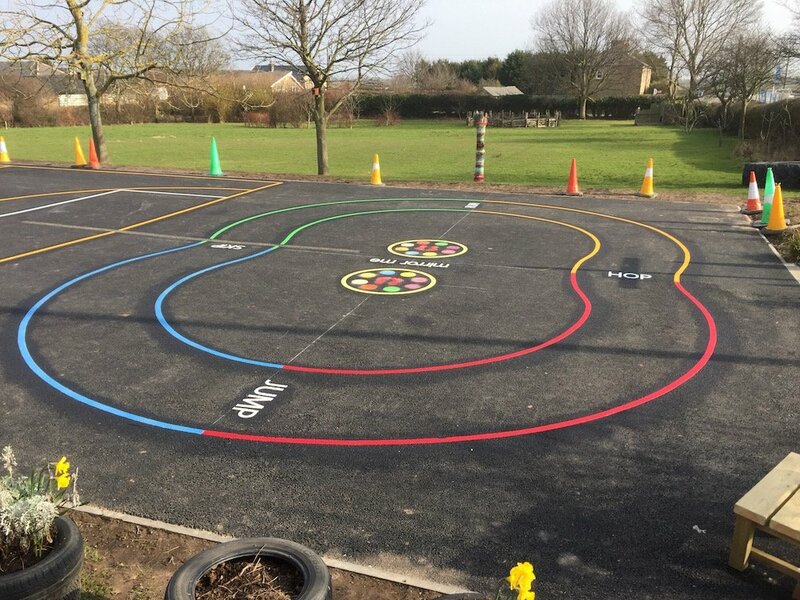 This product is an excellent multi purpose item as it can be used to play a variety of games for example battleships, chess and draughts and also can be used along side geography lessons to encourage the skills required in map reading. 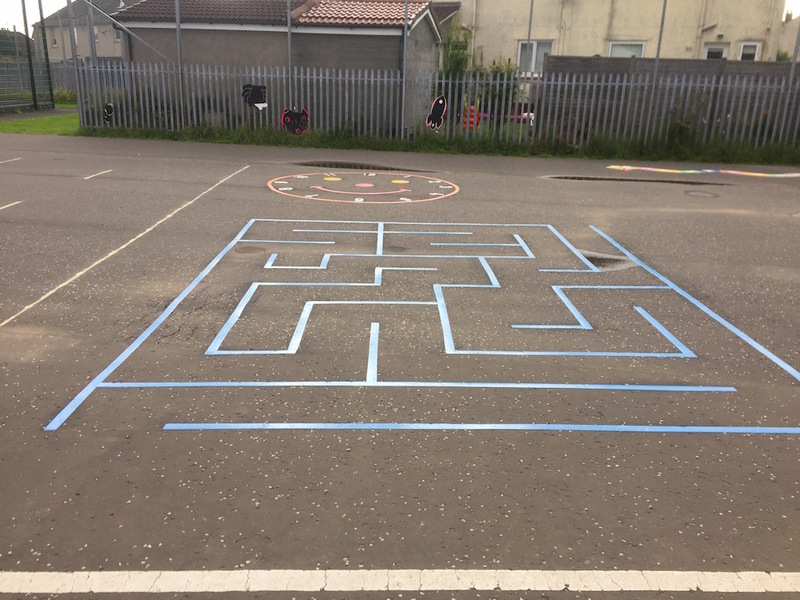 Encouraging children to interact with one another through game play and assist thier friends in providing accurate coordinates. 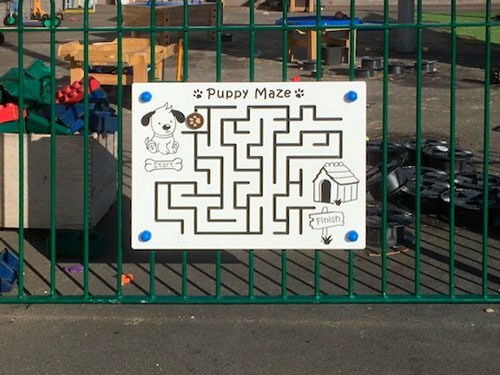 Find your way though the maze!